Linum usitatissimum (Linn. ), commonly known as linseed or flaxseed it belongs to the Linaceae family. It is consider as one of the oldest cultivated crops in the world, with evidence dating back thousands of years. It has been playing an important part as a diet, it is also an important topic for researchers, because of its one of the richest sources of omega-3 fatty acids (α-linolenic acid) which has many potential uses in the prevention or treatment of various diseases. In India flaxseed is commonly known as Alsi and flax seeds in marathi is known as alashi or jawas. It is popular food that is in demand among vegetarians and vegans who mostly want natural omega-3, not from animal origin. Whole flaxseed, its oil, lignan precursors, and its mucilage have many potential uses in the prevention or treatment of various diseased and it has also been considered as a good mood food. Now a day’s Flax is easily available in super stores, health food stores, they are available in four forms. As it is available in four different forms it give you a choice in which way would you like to consume it and for what purpose you want to buy. Whole Flaxseed: The whole flaxseed available in market can be eaten alone or added to other foods. When eating whole seeds it is important that you chew the seeds properly to get all the nutrients contained in flax seed. It flaxseed is not chewed properly it can easily pass through the body undigested and you not receive the nutrient from it. You can also consume it by grinding in a coffee grinder. Ground Flaxseed: Most of the people prefer to buy the grounded flaxseed; they generally prefer to buy milled flax or flaxseed flour. The grounded flaxseed can be used for cooking as well as backing and even for uncooked foods. Ground flaxseed can be more beneficial because during grinding process nutrients in flax is released, so it can be more effective than chewing the whole seeds. Ground flaxseed generally last up to four month is in self stage, it must be kept refrigerated in an airtight container. You can consume it in many ways, with cereal weather hot or cold, yogurt, rice, salads, pasta etc. Flaxseed oil: Some people do prefer to use flaxseed oil as an ingredient in cold preparations like smooth or salad dressing. It can be used in substitution as ratio of 3:1 ie. (3 tablespoons of ground flaxseed for oil 1 tablespoon) the recipes that call for flax seed. Generally flax oil is not recommended for frying foods, because high temperatures can make it unstable. Note: The flaxseed oil does not contain much protein or fiber compare to flax seeds; it generally expires quickly in about (6-8 weeks) and must be refrigerated. Flaxseed pills: The pills of flaxseed may contain linseed oil or flaxseed. Flaxseed pill do have the same drawbacks as flaxseed oil and it too is need to be refrigerated. The flaxseed pill have all the benefits that of ground flaxseed, but often several capsules a day are needed to obtain the same benefits. 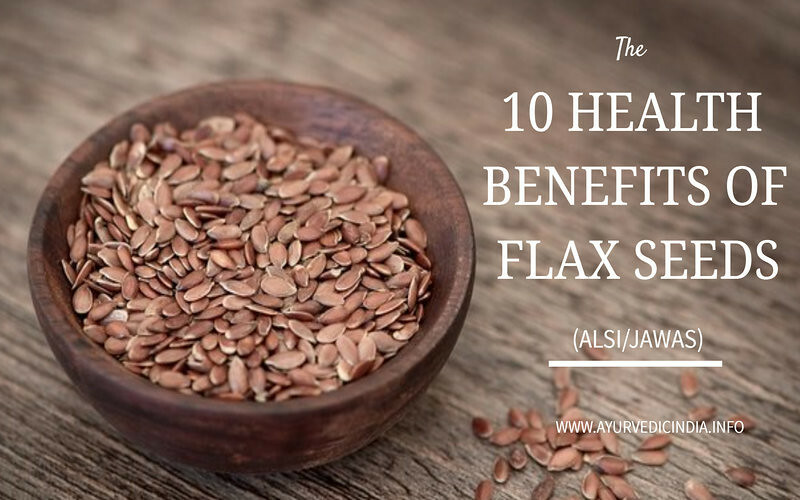 Although flax seed has been used around the world since ancient times, it is in this recent time that people started realising the benefits of folk remedies it’s nutritious and various health benefits. Some of them are mention below. Cancer is an aliment which many researches and scientist are looking for supplements to cope it. Recent studies indicate that there is a relationship between flaxseed and reduced risk of cancer and this study is also supported by the American Institute for Cancer Research. In an Initial stage it was found that flaxseed is effective against breast cancer, in further studies it was found that it is also beneficial in fight against ovarian, prostate and colon cancer. It was found that high levels of lignan contain in flaxseed helps to protect against breast cancer by blocking the enzymes involved in hormone metabolism which are responsible for the growth and spread of tumour cells. So consuming flaxseed to your diet can be good way to keep cancer at bay. Regular consumption of flaxseed may help to lower bad cholesterol from your body. Research study published in “Nutrition Research 2010” found that daily consumption of 100 mg of flaxseed was effective in reducing cholesterol levels in the blood and also reduced the risk of liver disease in men with high cholesterol levels. It was found that several flavonoids in flaxseed helped in to lower levels of LDL (low density lipoprotein) known as “bad cholesterol” and may also reduce the risk of heart disease. The soluble fiber contains in Flaxseed also helps to prevent the absorption of cholesterol in the body. Dose: Daily Consumption of 2 to 4 tablespoons can to help lower LDL cholesterol. Flaxseed can be the healthy diet to keep your all hair problems at bay. As flaxseed is rich in omega-3 fatty acids it can nourishes the hair follicles to make strong and healthy. The vitamin E in flaxseed also provides nourishment to the hair roots and scalp helps to treat hair loss preventing baldness. It can be helpful to the people to recover from the hair loss related problem such as psoriasis. So consuming flaxseed or oil can be the good idea to solve hair loss problems diet. Those having problem with curly and frizzy hair can also use a hair gel prepared by boiling linseed in water. If you are looking for a weight loss diet flaxseed can be the best option, it contain three main components that can aid weight loss, it’s due to properties like omega-3 essential fatty acids, lignans and fiber . Flax seed contain healthy fat and fiber that helps to suppress your appetite, keeping you to stay satisfied and fuelled for a longer time. In addition to this it also contains vitamins B, potassium, Zinc and magnesium, which are necessary for in weight loss. It has been found that an inflamed body always tend to hold on to excess weight and consuming flaxseed can reduce inflammation. To get the best result for weight loss use ground flaxseed rather than the whole ones. You can use it sprinkling on salads, yogurt, smoothes, soups, mixed juice or vegetable. A healthy fiber diet is essential for a healthy digestive system and flaxseed is high in fiber which is good for body. Consuming flaxseed can help to smooth the passage for food through the intestines and even boost the intestinal absorption of nutrients. In addition, flaxseeds and flaxseed oil work as natural laxatives may relieve constipation. The omega-3 fatty acids in flaxseed also protect the lining of the digestive tract and maintain gastrointestinal health. Note: Make sure that when you consume flaxseed, drink a lot of water or which can cause some side effects. People who suffer from diarrhea and chronic, Crohn’s disease, diverticulitis digestive, irritable bowel syndrome or disorders should avoid flaxseed due to its laxative effect. Flax seed oil and flaxseed have lot to give for your skin, healthy fats and vitamins B in flaxseed oil can benefit your skin in many ways. It can minimize skin irritation, tissue inflammation, rashes and even redness. In addition the omega-3 fatty acids in flaxseed can help to keep your skin hydrated and smooth and can accelerate the healing of skin wounds. You can use linseed oil with a few drops of essential oil and apply on the skin; it can be a natural skin moisturizer. Eating flax seeds on a daily basis can also keep you healthy with younger looking skin. Regular consumption of flaxseed can help to improve symptoms of menopause. A study has shown that flaxseed can be very effective to combat the symptoms of menopause for menopausal women. The Lignans in flaxseed have estrogenic properties that can help to reduce hot flashes, vaginal dryness and mood disorder. The University of Maryland Medical Center suggests that women can take 1 tablespoon of ground flaxseed 2 or 3 times a day to treat symptoms of menopause and to keep menstruate in a regular cycle and to promote fertility. A doctor always quotes that healthy nutrient can keep many of heart disease at bay and flaxseed contains all that nutrients that can keep a heart healthy. It is rich in monounsaturated and polyunsaturated fats along with omega-3 fatty acids that are important to keep your heart in optimal Heath. A study shows that a people who eat a healthy diet rich in alpha-linolenic acid (an omega-3 fatty acid) are less likely to have a heart attack. In addition, flaxseed helps to reduce heart disease and stroke by reducing build-up plaque in the arteries, and inflammation that are known to promote hardening of the arteries. So if you want diet for a healthy heart, you can include flaxseed. The main objective of detoxifying your body is to make sure harmful toxins, cholesterol and other waste products that are processed by the liver is properly removed. Flaxseed contains soluble and insoluble fibers that are very effective in flushing toxins from the intestinal tract. In addition, flaxseed is loaded with essential fatty acids, particularly omega-3 faty acids which are essential for many functions of cleaning and maintenance of a healthy immune system. When the body is free of toxins, you are less likely to suffer chronic fatigue, weakness, swelling, and congestion. It can be used both as a whole and ground flaxseed for detoxification. Soak 1 tablespoon of whole flaxseed in a small bowl or cup of water keep it for overnight. Next day morning, consume both the seeds and gel. Repeat daily for 2 weeks. You can also add ground flaxseed (1 tablespoon) to any green smoothie detox. Regular consumption of flaxseed can improve levels of blood sugar in people with type-2 diabetes. A study published in “Public Library of Science 2007” stated that people who consumed flaxseed for 12 weeks had showed lower levels of blood sugar it is due to its lignan supplements found in flaxseed. In addition alpha-linolenic acid, protein and fiber contained in flaxseed oil played an important factor for controlling blood sugar. Many complications such as kidney failure and reduce the risk of heart disease can be prevented by maintaining a normal blood sugar level. Flaxseed and flaxseed oil a supplement seems to be well tolerated with few side effects reported. The fibre in flaxseed may decrease the body’s ability to absorb drugs taken orally. Flaxseed should not be taken along with conventional oral medications or other dietary supplements. Like any fiber source supplemental, Flaxseed should be taken with plenty of water; or it could worsen constipation. In rare cases it can even cause intestinal obstruction. Both flaxseeds, flaxseed oil can cause diarrhea. Tell your doctor about what complementary health practices you are using. Information must be given in detailed about how you manage your health so that it will help to ensure coordinated and safe care. Only a small amount of flax seed oil each day is needed to provide the body with enough beneficial fatty acids found in these seeds. Use flaxseed oil but do not overuse as it is a very rich food with calories. It is true that it is very healthy form of fat, but still contains 900 kilocalories per 100 grams contains.